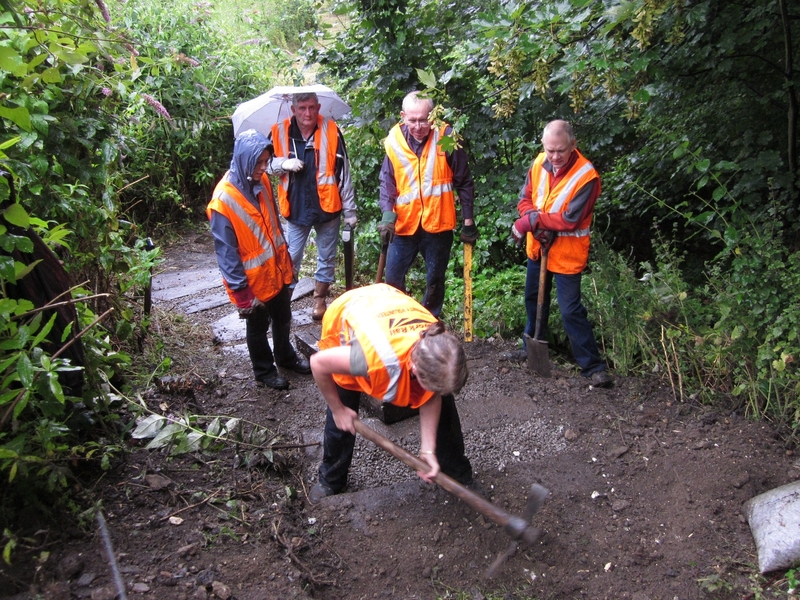 A group of hardy volunteers braved the elements to continue the work at Hither Green Triangle. We were joined by members of the Hither Green Community Association who have been doing their own sterling work along the railway embankment at Springbank Road. 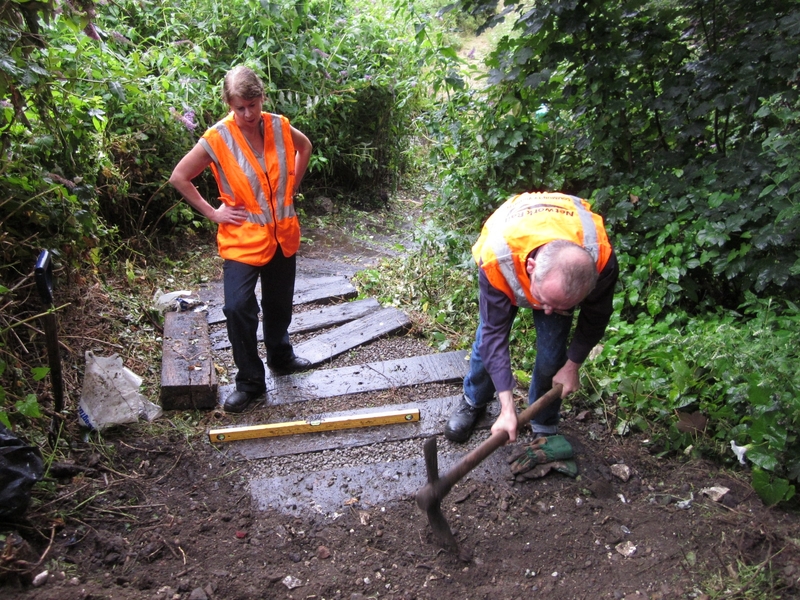 The steps were started last year in the bright sunshine (!) and we continued with this work on Saturday 16 July. Despite the pouring rain 5 new steps were built, but there is a way to go and were are hoping these will be done in November. Thanks also needs to go to Carl from Glendale for bringing his scanner and expertise. Before any digging is done on site the area had to be scanned to make sure our mattocks/spades/forks did not hit anything they shouldn’t. Fortunately, the only thing it picked up were our steep toe capped boots and a few pegs from the previous steps! As you can see from the photo below, we were all very happy (and a little soggy) with our achievements!